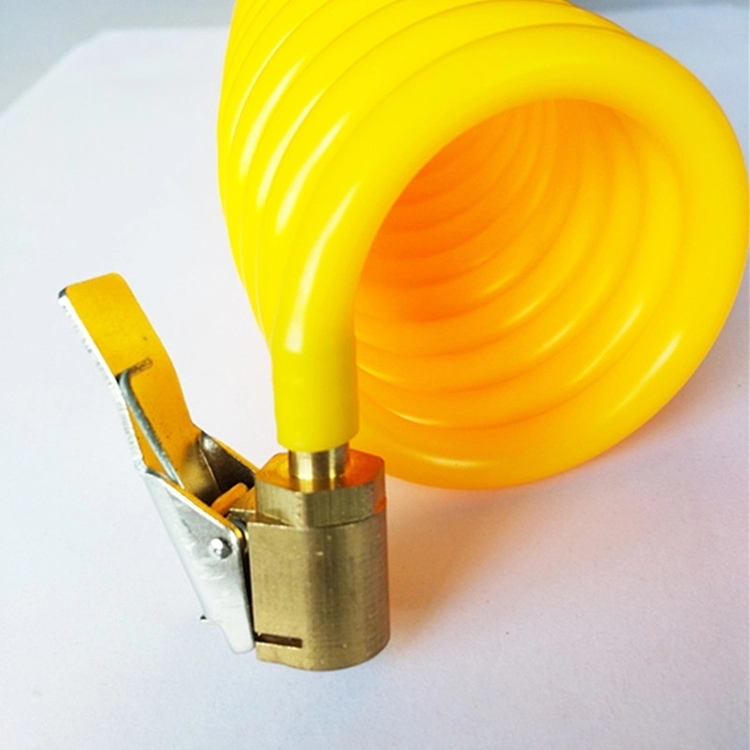 Air Chucks are used to inflate and deflate tires of cars, trucks, buses, and agricultural or OTR vehicles. It provides several models for different applications, from long chucks with retention to short chucks with holders. They are easy to use and ensure no leaks when inflating tires on. 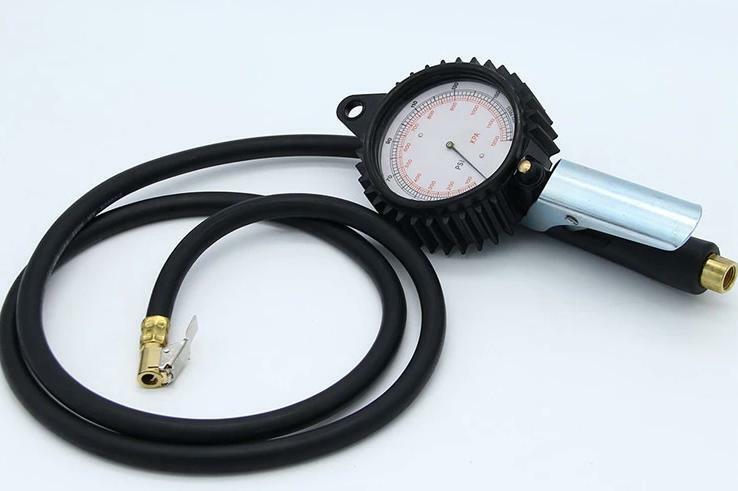 It usually connects with the air hose to inflate or deflate the tyres. 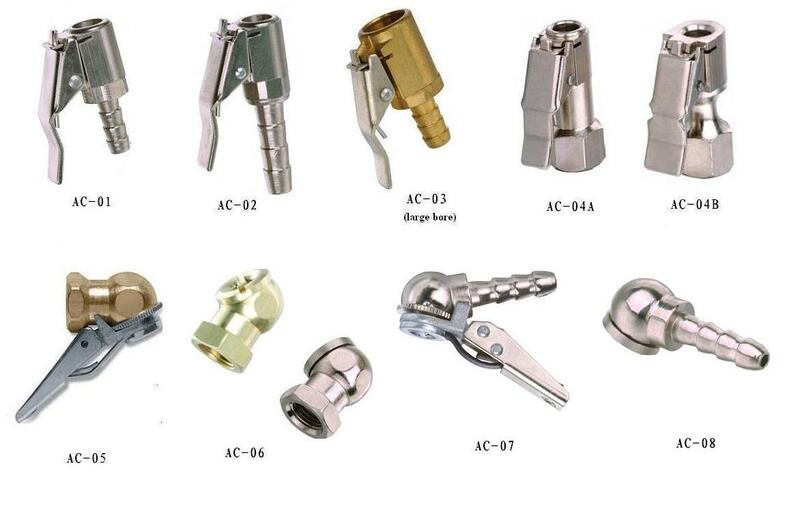 AC-01	 European style air chuck with clip, open/close end, 1/4"
AC-02	 European style, air chuck with clip open/close end, 5/16"
AC-03	 European style, air chuck with clip open/close end, 1/4", 5/16"
AC-07	 American style air chuck with clip, 1/4", 5/16"
AC-08	 American style air chuck, 1/4", 5/16"
Ningbo Heyu Tire Repairs Co., Ltd. has been in specialized in supplying all kinds of Tire Valves (i.e. rubber tubeless tire valves,snap-in tire valves, clamp-in tire valves, Tire Valve stems etc. ), Wheel Balance Weights (i.e. Fe stick-on adhesive balance weight, Fe clip-on Wheel Weights, Zn stick-on adhesive balance weight, Zinc clip-on wheel weights, Pb stick-on adhesive balance weights and Lead clip-on wheel weights) and tire repairing tools (i.e.Tire valve extension, tire inflating air chucks, tire gauges, tire valve tools) and auto workshop and garage equipments . Most of our products are exported to Europe, America, Asia and Middle-East. We assure our products with good price and super quality. Looking for ideal Air Chuck with Clip Manufacturer & supplier ? We have a wide selection at great prices to help you get creative. All the European Type Air Chuck are quality guaranteed. We are China Origin Factory of Tire Inflating Chuck. If you have any question, please feel free to contact us.